We Awarded $247,000 in 2018! Communities in Schools (CIS) will continue helping at-risk high school students stay in school by addressing both academic and nonacademic barriers to their success. 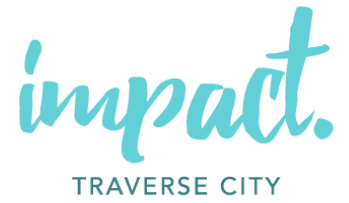 Their 2018 Impact100 TC grant will help create a feeder school pattern for the CIS model to be implemented in several area school districts, including Kalkaska Public Schools, Central Lake Public Schools, Suttons Bay Public Schools, and Forest Area Community Schools. Addiction Treatment Services will expand their newest program, PORCH (Providing Opportunities for Recovery and Community Health) – a program that will be Michigan’s first community-based effort to address the opioid crisis with a comprehensive, evidence-based, multi-systemic strategy. PORCH aims to provide same-day assessments for those seeking help with addiction, bypassing the normal 2-3 week waiting period. ATS will use the grant funding to hire three PORCH employees and to provide educational resources to employers, schools, and other community groups.